WE ARE CERTIFIED AND FHA APPROVED. or overnight mail with your account number. 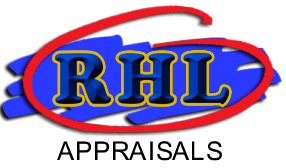 Please add $25.00 if you want us to overnight two (2) hardcopies of your appraisal report to you. Payment is due prior to or at the time of inspection. A payment receipt will be issued for all COD transactions. All major credit cards accepted. Please add $25.00 for credit card payments. Click here to pay for your appraisal with a credit card.